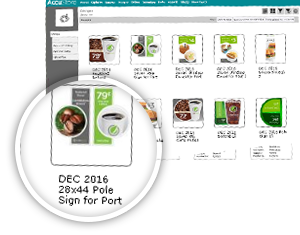 GSP, AccuStore, Great Big Pictures: Together, we are GSP Companies and we make retail better through our menu of technology solutions and customizable services to improve store communications, simplify marketing execution and reduce wasteful spending. 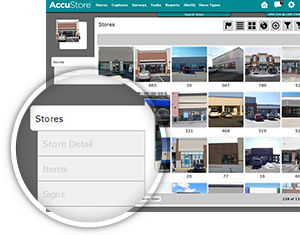 Reduce spend and accelerate your growth strategy with customized store profiles that help you really know your stores. Our easy-to-use platform and app let you monitor store performance 24/7. 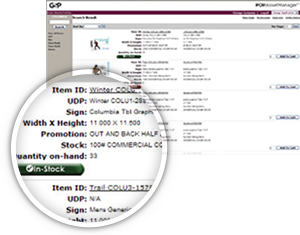 We can eliminate costly overage and simplify distribution by leveraging your store profile data to obtain specific quantity information. 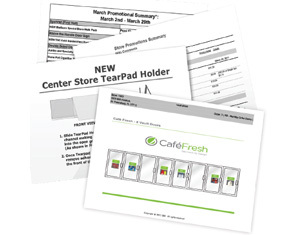 This assures we print only what each store needs and nothing more to maximize your in-store marketing efforts. Give each store the store-specific marketing and operational information it needs to improve compliance and expedite execution. 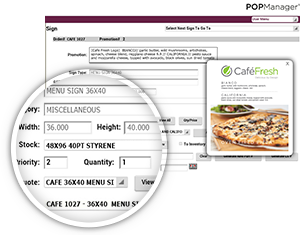 View important, unique store details and easily manage your store inventory of POP signage, fixtures and assets – even inventory being stored at different, external warehouses. You’ll never find yourself out of stock on a necessary item again. We’ve simplified the art and copy approval process that goes along with marketing. Our state-of-the-art interface securely houses all of your digital art files. Access real-time information about your print orders and shipments, upload art files, review work – even refer back to last year’s campaigns.